Tottenham manager Mauricio Pochettino has talked down his club's hopes of signing any new players in the transfer window, despite slumping out of the Carabao Cup semi-final to Chelsea yesterday night. Recent injuries to Harry Kane leave Spurs looking short in the attacking department, as their season looks to be falling apart. 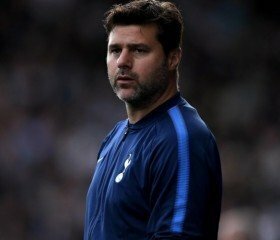 It is only a bleak update from Pochettino as he stated that the club are unlikely to move for new players, despite Kane being out of action for nearly three months. With Heung-Min Son also being away on international duty for some time, Spurs are missing some key players. “I think we are going to explain after 100 times the same,” he said on Friday. “I always say that I am more than open to improve and to add players to the squad. “That is so clear. You can find on the on the internet, from all of of my press conferences, I always say the same. I am more than open. “We are open like always, the transfer windows. Different options. In England, outside of England. But that is not new, not changed. “You ask me in a different way and my answer is different to the past but I think always we were working and trying to find the right profile. If we didn’t sign it’s because we can’t sign, not because we didn’t want. “In the same time you are here with me, you know very well the numbers is limited and when you have the full squad and you have no space you cannot sign. That is the problem too. “Maybe you are open to sign but if you don’t have space in the squad you are going to sign and you need to change a player on the list that you need to put out. I think that is not right."